Global icon Priyanka Chopra confessed on Thursday that she never thought she would end up getting married to Nick Jonas. Priyanka said this while gracing the 10th Annual Women in the World Summit in New York where she spoke on a wide range of topics including her doting hubby, their relationship, married life, feminism and more. 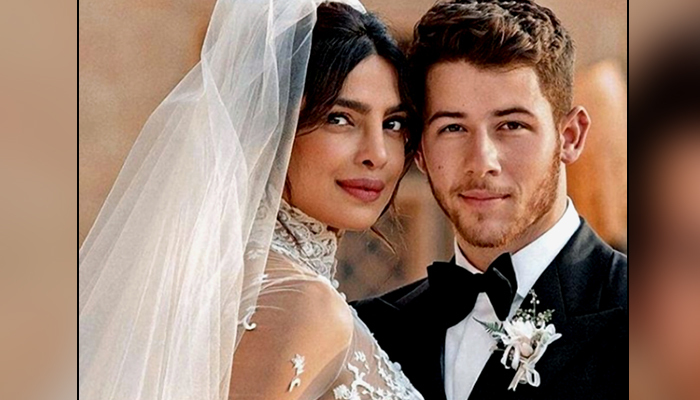 Opening up about how she didn't think she'd tie the knot with Nick Jonas during a panel discussion, 'The Sky is Pink' starlet also explained how Jonas has been surprising her from the beginning of their whirlwind romance. “I’ve known him for two years. I didn’t think that this is what it [would’ve] turned out to be, and that’s maybe that’s my fault, I judged a book by its cover,” she said during the discussion. Pee Cee also revealed how she once went out with Nick and friends. The actress had another meeting to attend and dropped hints at hoping Nick would ask her to cancel the meeting. However, Nick's reaction was completely opposite to what she had expected. "He said ‘I will never be the one who will tell you to cancel work because I know how hard you’ve worked to be where you are. So if you could’ve cancelled it, you would’ve done it. I’ll take our friends out for dinner, we’ll wait for you, and you finish your meeting and come back,'” she recalled. “He gave me credit for what I had done, it was just mindblowing for me. No one had ever done that before,” she continued. Nick and Priyanka got married in a lavish wedding ceremony on December 14.